Thank you to all our wonderful partners for another great year. We wish you and your family a safe and happy holiday season, and the very best for the New Year. 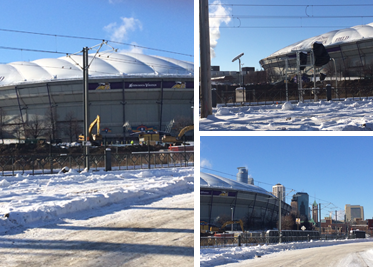 Construction on the new Minnesota Vikings stadium has begun across from our Minneapolis headquarters. Check back each month for more progress updates on the construction of our new neighbor! I wanted to share this short story with you because it's an important reminder of how a small act of anticipating the needs of others and being thoughtful can truly create a wonderful life. 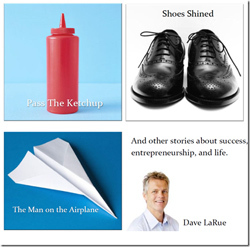 My hope is that this story encourages you to look at the events and relationships of your life–your victories and your challenges, your dilemmas and compromises, your friends, family, mentors, and rivals–as offering similar lessons that inform and prepare you to make the best decisions you can as you chart and navigate your path to success. Here is my short story: Pass the Ketchup. New Baldwin E-Commerce Site coming in early 2014!